Create European economic networks now or surrender to the alternative: At the 6th Mercateo Executive Summit 2018 on 13 November 2018 in Berlin, a great plea was made for buyers to finally use platforms and networks to their advantage. With its second event, the CEE e-Procurement Summit on 18th April 2018 once again addressed procurement experts in Central and Eastern Europe. Almost 150 participants attended the event, which was held once again in the Slovakian city of Šamorín and offered an exciting programme. Workshops on procurement and process optimisation were also offered this year for the first time. Mercateo AG exceeded the sales mark of a quarter of a billion euros for the first time in the fiscal year 2017. The preliminary figures for 2017 record sales of 254 million euros. Compared to the previous year, gross profit rose by more than 20 per cent to over 29 million euros with a simultaneous positive net profit for the year. The effects of digitalisation on social structures and business processes are currently the subject of controversial debate. This topic was also the focus of the Mercateo Executive Summit, which took place last week at the Humboldt Box by the Berlin Palace. Mercateo has secured fresh capital to strengthen the growth of the largest European B2B marketplace and for strategic investments in the new Mercateo Unite networking platform. SAP Ariba is relying on the new B2B networking platform Mercateo Unite as the infrastructure for the Ariba Spot Buy solution in Europe. As a result, SAP Ariba customers can simply integrate suppliers for periphery requirements and also receive access to more than 50 million items through the integrated Mercateo shop. Users of SAP Ariba Spot Buy therefore have a broad arbitrarily expandable landscape of ranges and providers available for indirect materials without leaving the company’s own standard processes. The cooperation was announced at the “SAP Ariba Live” conference in Prague on 12 June 2017. In the 2016 financial year, Mercateo AG once again continued the growth trend of the previous years.. Sales totalled 228.0 million euros, a 14 percent rise compared to the previous year (2015: 200.0 million euros). Gross profits were up by 26 percent. Since 1999, Mercateo has operated Europe's largest B2B marketplace and since early 2017, the B2B networking platform Mercateo Unite. The company operates in 14 European countries and employs more than 450 employees, including 21 trainees. At the CEE eProcurement Summit 2017, which was held on 6th April 2017 in Samorin, Slovakia, twelve speakers and more than a hundred participants from seven different nations exchanged views on the latest issues surrounding procurement and digitalisation in the world of purchasing. Despite the variety of topics to be covered, one thing was clear: the challenges faced by purchasers and procurement experts in Romania, the Czech Republic, Slovakia, Hungary as well as Poland, Austria and Germany are largely the same. A one-hour saving of work time which results in halving the processing costs in the company: that’s the difference between a conventional procurement process and a digitalised procurement process. This was the conclusion reached by Prof. Holger Müller of Leipzig University of Applied Sciences (HTWK Leipzig) and Elisabetta Bollini of Mercateo AG, in their study entitled “Indirect purchasing in focus: potential savings and future opportunities”. Mercateo was represented at eWorld Procurement & Supply in London with a booth for the fourth time. The trade fair is one of the most important events in Europe for the companies and decision makers in procurement. Topics this year included managing business risks in a volatile world, collaborative networks for the procurement and optimisation of processes. On 8th November 2016, numerous decision-makers from various European procurement departments met at the 4th Mercateo Executive Summit at Berlin’s ‘Adagio’. The participants discussed how the opportunities of digitalisation can be used and how variety can be ensured in purchasing. The focus was set by Eva Wimmers‘, President Europe Huawei Honor, keynote. The title was “Digitalize or Die”. In this, Wimmers highlighted important points that companies should consider for successful digitalization. With immediate effect, Mercateo AG is going online in Switzerland with its procurement platform. At www.mercateo.ch both existing international customers as well as new customers based in Switzerland now have the opportunity to connect Mercateo to their ERP system as a European-wide system solution. The company is therefore responding to the growing demand from customers and primary suppliers for a presence in Switzerland. Mercateo is therefore represented in 13 other European countries besides Germany. Mercateo AG is reporting another record year. Sales in 2015 increased by 25 percent to EUR 200.2 million compared to 2014 (2014: EUR 160.0 million). Mercateo is Europe’s leading B2B procurement platform where companies cover their business supplies and buyers and suppliers network with each other. Today, the company company operates in 13 European countries and has more than 400 employees. The B2B procurement platform Mercateo is strengthening its international presence with the foundation of its own national subsidiaries in Italy and Spain and with the Spanish and Belgian platforms going live. Companies can now network with their international branches via Mercateo in 13 European countries. Mercateo AG is therefore responding to their customers’ growing demand for new infrastructures for digital networking in the B2B environment. Mercateo UK was in London at “eWorld Procurement & Supply” on 2 March 2016. Since 2001, the trade fair has developed into one of the most comprehensive forums for new innovations and technical applications in procurement and supply chain management in Great Britain. Mercateo appointed Dr. Bernd Schönwälder (45) as the new executive board member for department "Market & Sales". Mercateo was able to increase its turnover by 19 percent to EUR 160 million in the 2014 financial year. Growth factors were above all the considerable rise in customers who systemically use Mercateo as a purchasing solution as well as the positive trend within international subsidiaries. 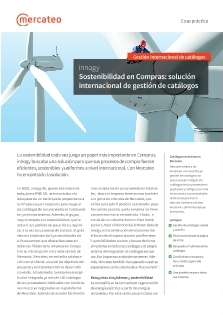 From 2 April 2015, international companies will also be able to use Mercateo for their sites in Belgium. More than 300 purchasing managers and decision-makers in the purchasing process made their way to London for the eWorld Procurement & Supply on 3 March 2015 to obtain information about the latest trends and technologies in purchasing. Mercateo was once again one of the sponsors and also present with its own exhibition stand. 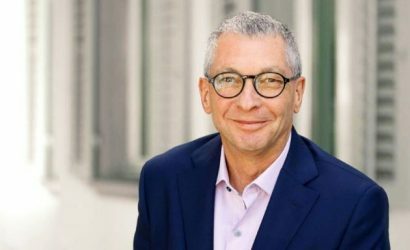 At the "Außenwirtschaftstag Sachsen-Anhalt 2014" (Saxony-Anhalt Foreign Trade Conference 2014), the Director Peter Ledermann talked about the company's international success, and about difficulties encountered on the road to that success. With reports from practice like this, the event organisers sought to encourage other businesses from the region to expand their business models to the international stage. 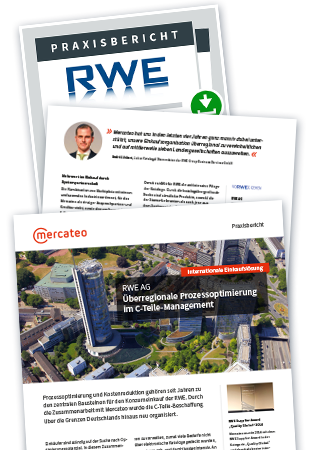 Mercateo is awarded the RWE Supplier Award "Quality Global"
At the 7th RWE supplier conference on 18 November 2014, Mercateo received the "RWE Supplier Award Global Quality" for being the energy provider's best international supplier. 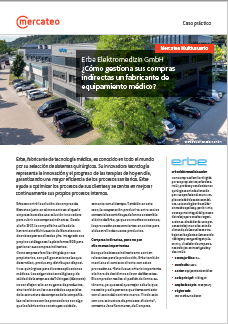 With this award, RWE recognised international work for procurement at Group Business Services GmbH (GBS) and the national subsidiaries over the past four years. 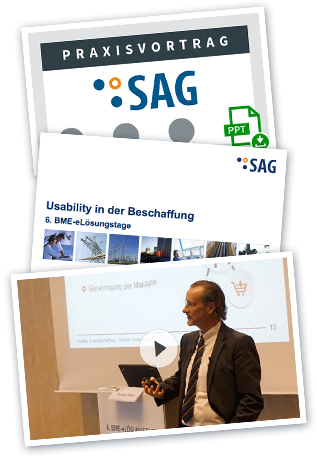 On the evening of 11 November 2014, experts from the procurement segment came together at the sky lounge of Berlin’s “ewerk”. Over 50 executives, managers and strategic heads of purchasing from groups such as Deutsche Telekom, Vistaprint, Deutsche Lufthansa and RWE attended Mercateo’s 2nd Executive Summit to discuss innovative e-procurement strategies and new options for procurement structures. The B2B procurement platform www.mercateo.co.uk is expanding its range of functions for business customers with a free digital approval process with company account. On 24 September 2014, Mercateo UK Ltd. was one of the sponsors of eWorld Purchasing & Supply in London. In addition to many interesting presentations, it was important for Mercateo to use the event to show its presence on the British market, so as to continue strengthening the prominence of Europe's leading procurement platform.